Roast beef has always been a favorite dinnertime entrée. A flavorful roast beef is not difficult to cook, but there are a few important considerations to remember to ensure a good result. 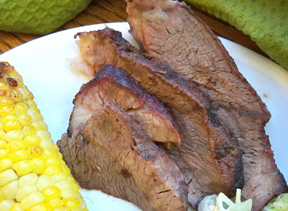 The following four points should be considered when you want to cook a delicious beef roast. First, let's consider the type of beef cut to use for your roast. 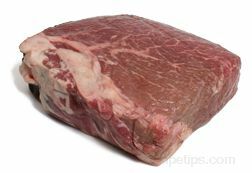 Since roasting is a dry heat cooking method, you should use beef cuts that are tender and well marbled. Tougher beef cuts with less marbling tend to dry out much more quickly (although when the proper steps are followed, excellent results can be achieved). A beef roast cut from the rib or loin section is often the best choice; for example, try a rib-eye roast if your goal is to serve a top quality roast with lots of flavor. The rib-eye roast refers to a rib roast in which the 6th through the 12th rib bones have been removed leaving just the rib-eye muscle. 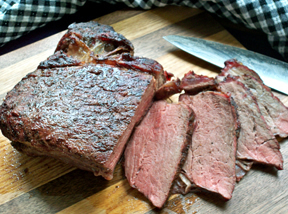 When the bones are not cut away from this roast, it is known as a standing rib roast. Both of these roasts are ones that you probably wouldn't cook with any frequency, because both are quite expensive, but the tenderness and flavor of the rib-eye roast and the standing rib roast are tough to beat. Both the top loin roast and the tenderloin roast are often cooked quickly at high heat, which seals in the juices. Both beef roasts are usually cooked to no more than medium doneness to ensure that the meat remains tender and moist. Of course, the size of the beef roast is very important in determining the length of time required to cook the roast. 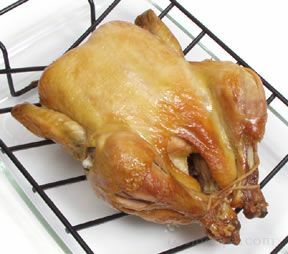 It is often easiest to cook a roast using a predetermined length of cook time per pound. That way, you can cook any size beef roast by simply multiplying the cook time per pound by the number of pounds that the roast weighs. The oven temperature used to cook a beef roast is usually set somewhere between 300 degrees and 450 degrees Fahrenheit. The recommended cooking temperature for your roast is usually determined by the type of beef cut that you plan to roast. Some beef roasts are best when slow roasted at lower temperatures, while other roasts are best when cooked quickly with high heat. There are even a few beef roasts, especially some of the tougher roasts from the round or chuck, that are best when cooked with high heat at the start (to sear the outside of the meat and seal in the juices) and then cooked at a lower temperature to finish the roast. The cook time and temperature are not only determined by the type of beef roast but also by such considerations as the amount of marbling within the beef roast, the amount of outer fat covering the roast, and whether or not the roast is boneless. 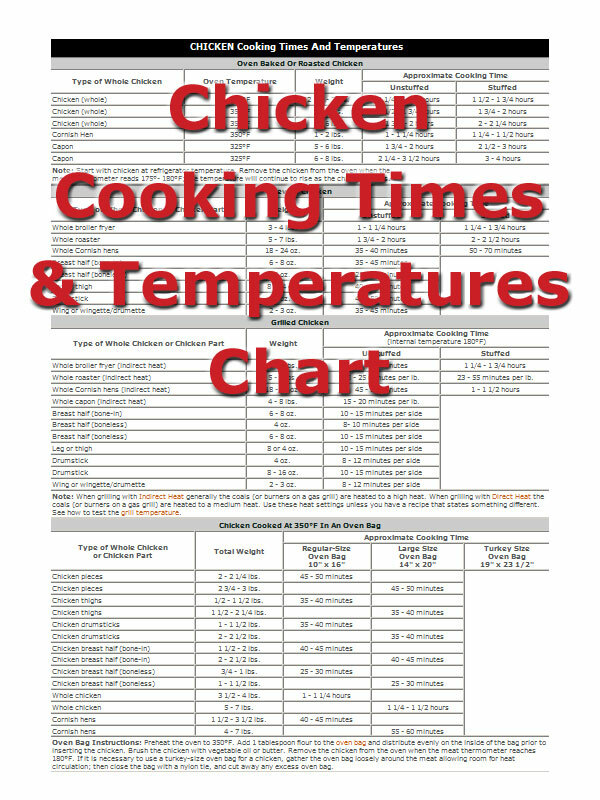 And, because there are a number of considerations that determine the proper cook time and temperature, a cooking times chart should be used only as a guideline and not as an absolute. The best method for determining the desired doneness of a beef roast is with the use of a reliable meat thermometer. Sirloin tip 300-325°F 3 1/2-4 lbs. 35 min. 36 min. 38 min. 39 min. 40 min. Rolled rib 300-325°F 5-7 lbs. 32 min. 35 min. 38 min. 43 min. 48 min. Rolled rump 300-325°F 4-6 lbs. 25 min. 26 min. 28 min. 29 min. 30 min. Note: Start with meat at refrigerated temperature. 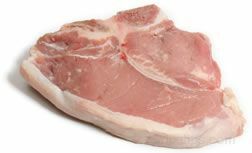 Remove the meat from the oven when it reaches 5° to 10°F below the desired doneness; the temperature will continue to rise as the meat stands. 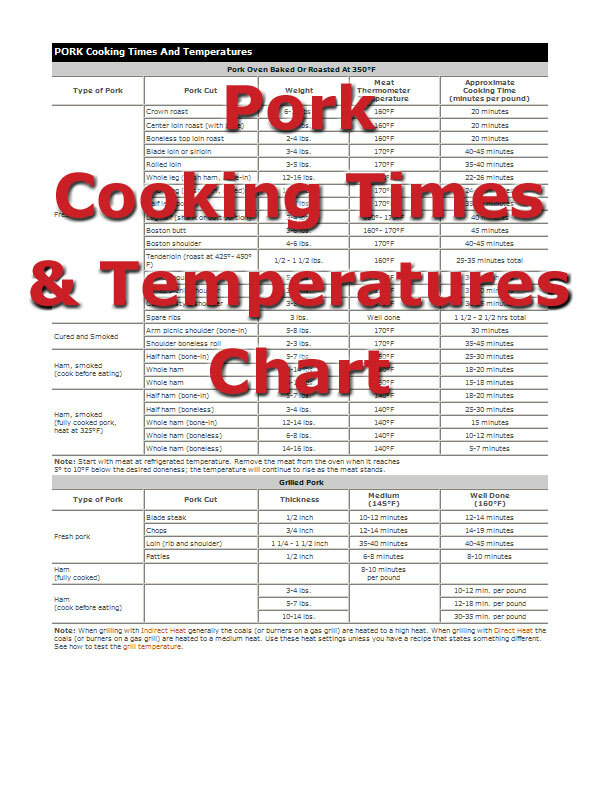 Remember, use the roast cook times in this chart as a guide only. 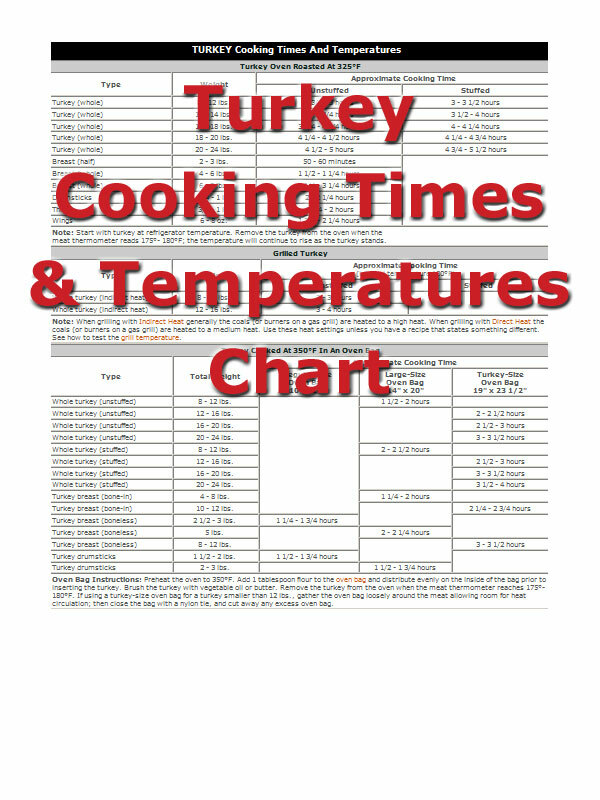 The oven temperatures and roast cook times listed here are accurate enough to provide you with good results; however, it is important to keep in mind that a number of variables can make a difference when using these guidelines to cook your roast. You must consider the differences in ovens, whether or not the roast is placed into the oven directly from the refrigerator, the use of an oven cooking bag, and even the altitude of where you live—all of these can change the cook times for a beef roast by a significant margin. 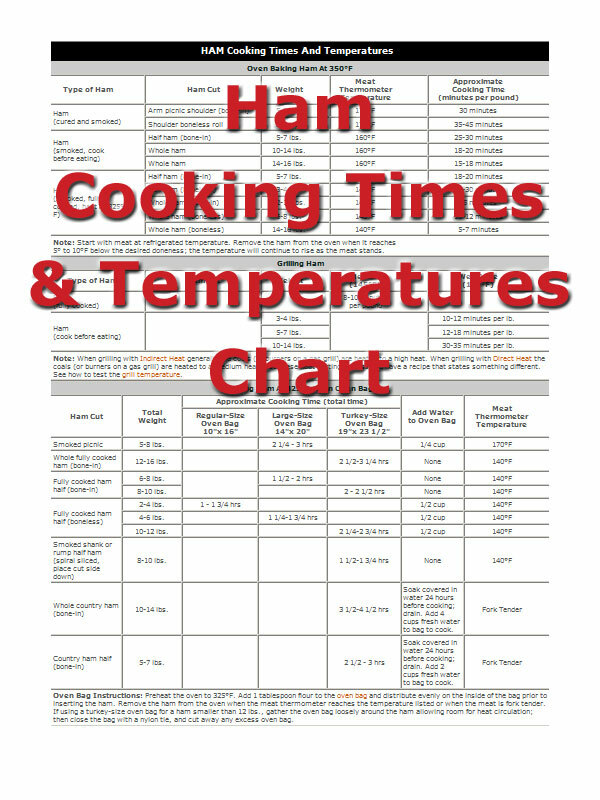 Note: See the article, "Beef Cooking Times," for additional cook times and temperatures for a variety of other beef roasts, steaks, and ground products. "My favorite cut of roast beef is eye round. 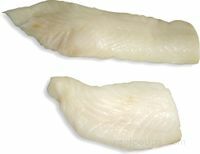 I like to cook it with the fat side up at 350 for 35 minutes a pound. I first baste it with olive oil and salt/pepper. Slice it thin when it is done. 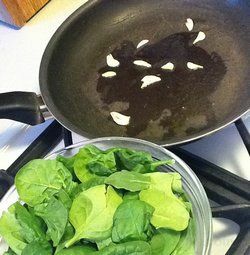 My family loves when I cook this." "Where is the cooking time for a chuck roast? WHY is it not in here? Is there another name for Chuck Roast that I am not aware of? I am trying to find out how to cook a 16 pound chuck roast and the information is just not out there." "This article was very informative. I didn't realize that the type of roast makes such a difference in how it turns out. That explains why sometimes our roasts turn out great, while other times they are very dry. Now I know what to look for when I am buying beef roasts." "This chart is accurate and informative. However the Note which states “remove the roast from the oven once it reaches 5 to 10 degrees below the desired temperature” should be at the top of the chart and displayed with prominence. This key bit of information if overlooked will result in an overcooked roast." "I fixed a top loin roast for supper last night. It was a 5 lb. roast and I cooked it at 325 degrees F. for 1 1/2 hours as shown on the chart. It turned out great! Juicy and done just the way we like it. Thanks for the cooking info!" 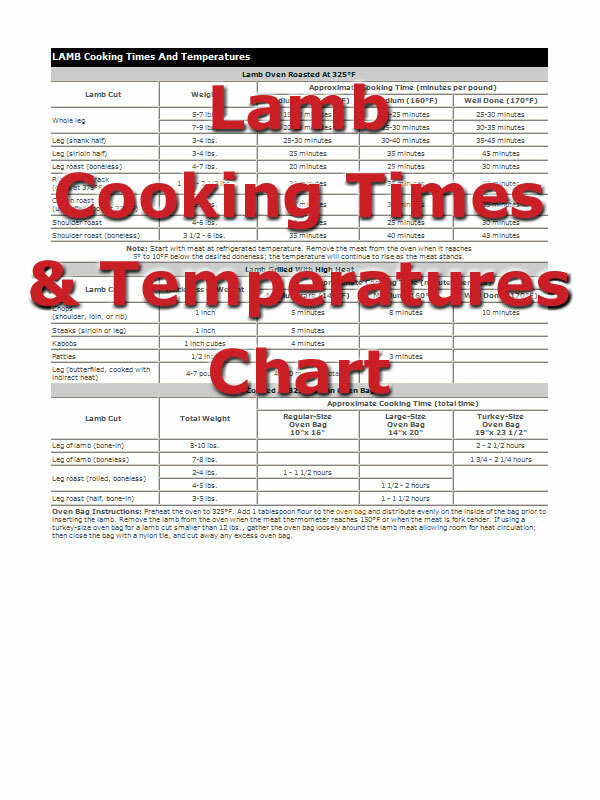 "used this chart and my roast turned out very tough. had to throw the contents of the whole pan into my crockpot and cook overnight. so much for my roastbeef dinner... ended up having to nuke some chicken nuggets for the fam. 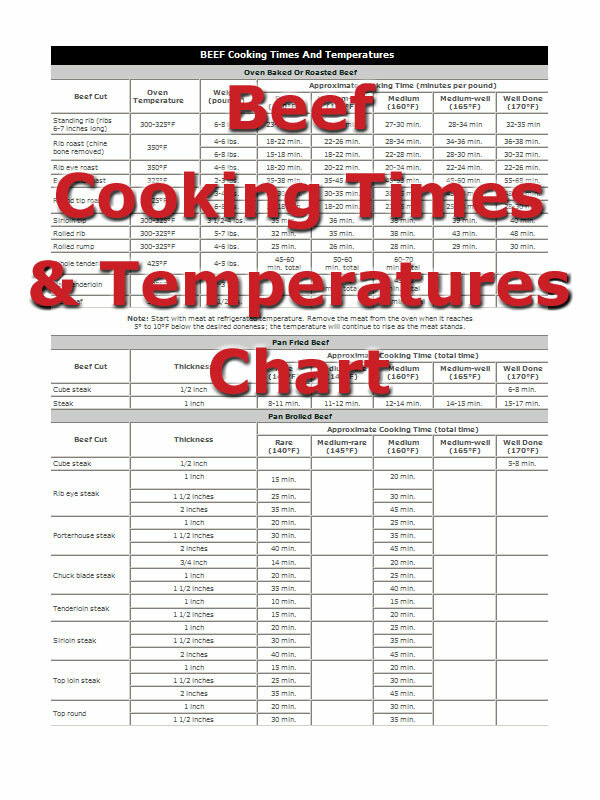 :/"
The proper beef cooking times and the correct beef cooking temperatures are extremely important. The optimum flavor and tenderness of various cuts of beef can be consistently achieved when care is taken to follow the recommended time and temperature guidelines for cooking beef.